For his new movie "Ci Ling", Jay Chou searched many countries for a 'J-Girl'. He said: "She musn't be taller than me, preferably Chinese, able to communicate with me. 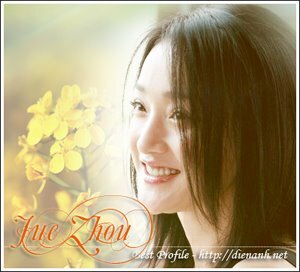 She should understand the magic I perform, Zhou Xun would be a very good choice, we even have the same surname. The most important thing is that if there were rumours between us, no one would believe them." Taiwan's Chang Hong Group and Mainland China's China Film Group has invested RMB100 million (about TWD$408.4 hundred million) in Ci Ling. Yesterday Jay organised a large press conference. Chang Hong's boss, Wu Dun looked for a female lead all over Taiwan, including Japan and Korea. He already has some people apparent in mind, but he purposely kept it from Jay. He said: "I'll see which one Jay feels is best, then I will pick her." Director Kevin Chu said: "Who asked Jay to be young, I'm scared later on there would be a older girl-younger boy relationship." Many people are in favour of Korean actress Kim Tae Hee, but Jay has a soft spot for Zhou Xun. He said: "We met before at the Venice Film Festival, and we just collaborated in Yuan He Ping's Beggar So. Her image and acting skills are both very impressive, and I'm good friends with her boyfriend, Li Daqi." Jay expressed that he completely doesn't understand how the term 'J-Girl' came about. He said: "I've only heard of Bond Girls." Ci Ling includes action, adventure, literature and manga, and Jay will be wearing both ancient and modern costumes. The wushu choreographer Cheng Xiao Dong has already come up with extremely difficult actions, even giving him many cool weapons. Kevin Chu said: "When Jay is films action scenes, he doesn't complain at all. The last time when we were filming Kung Fu Dunk, he was hung in the air for the whole afternoon. This time I want to shape him to be more 'man', more tough." Jay feigned coolness and said: "The last time, it was because there were many fans looking at me." 'Secret' and 'Kung Fu Dunk' didn't get recognised in the Golden Horse Awards, Jay said: "Do movies with action immediately get classified into commercial films? Does it mean only films with plain text only is considered art? What type of movies get the recognition of the judges? This deserves some thought. I feel action movies are the hardest. Especially since I am not Bruce Lee or Jet Li, who started training very early. So for me to act well mean I have to put in extra effort." Jay Chou has been receiving endless offers for movies. Next year he will film Ci Ling first, later on he will direct his second movie. But if there is a movie with a good script, director and team asks him to act, Jay said: "I will take it first." He will need time to consider if it requires very intimate scenes. He says: "Because 6,7 years ago, when I first debuted, I filmed a cell phone commercial without my top on, and it was pasted all over the streets. I really regretted doing that. If in the future it is required for a movie, it must make sense, then I will act in it."